The incarnation should strike us as a little bit crazy. I was driving in the car in the last week or two. I think on the way to work. And I got to thinking, as I often do. And for perhaps the 20th or 30th time that I would hear the song this season, “Mary Did You Know?” came on the radio. I’m reluctant to admit that this song got me thinking, because I never really liked the song all that much. It seems like it’s trying too hard to be profound and moving, and anything that so overtly is trying to provoke one response in me so often provokes the opposite. But, there I was. 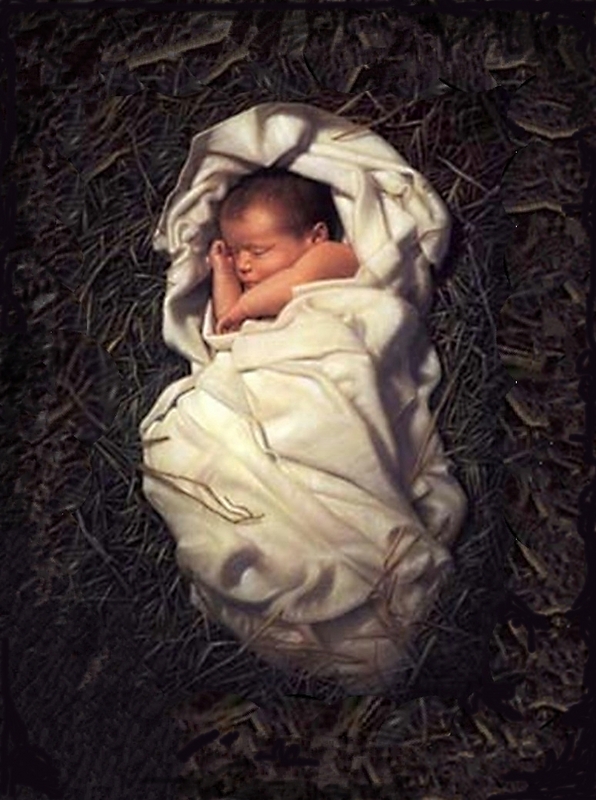 I was headed to work and a song got me pondering the incarnation–God in human skin. God made out of dust. And I really don’t know where it came from. I wasn’t in real deep thought at the time. I didn’t even determine that the divinity of Jesus would be my topic to mull over that morning. In fact, with everything going on at with work and other parts of life at the time, I still hadn’t had much of a chance to really focus my attention on Christmas. However, right there, in the middle of the distractions and the endless monotony of Christmas carols and colors and commercials, I gained a special glimpse into the magnitude of Christmas. I had a similar feeling to the one that I sometimes get from staring into space and trying to understand the concept of eternity. It’s similar to being dizzy, or weightless. It’s being so lost and nearly oblivious of my own immediate sensations because I have delved so deep into thought. But, really, I don’t think “thought” really captures the experience I had. That word implies some sort of enlightenment or level of understanding. And, if you know me, you know I love and pursue understanding with nearly all my being. I’m quite a fan of knowing more things, and knowing more about things. Rather than just a thought, it was actually more like some weird place in my consciousness between a feeling and a thought. It seemed more like pure perception, the kind for which we don’t have words to describe. I was perceiving, somehow for the first time it seemed, the astounding mystery of God becoming human. I have thought long and hard and I have written and spoken about the centrality of the incarnation to the Christian faith. It has stimulated my intellect and my devotion in all of the good and proper ways. But for a fleeting moment, I was actually swallowed up in the … unknowableness … of it. And it was the wonder and awe that I reacted to my perception with that made the incarnation so genuine to me, not my ability to understand it. And, had I been coming up on a red light at that moment, I would have blown straight through it. This Christmas, let us be so completely wowed by God that when we think we’re overestimating him, we’re actually underestimating him. Let us embrace the mystery of this faith so that it is a humbling and perhaps even dizzying experience to perceive who this God is, instead of leaning on our own understanding. The incarnation should strike us as a little bit crazy. It should be perceived as so unbelievable, that we’d be fools to whisper it–much less proclaim it–if it were not for the gift of Jesus, GodWithUs, who calls us into a faith lived into a mystery. A mystery which reveals that the human God is more real and true than our understanding could ever grasp.